Kurt Safari Co is one of the Kruger’s leading tour operators, with over 20 years spent welcoming guests from all over the world to experience the ultimate Kruger Park safari. We have a diverse selection of fantastic Kruger safaris for our clients to choose from. Each safari is carried out in an open safari vehicle and in the company of one of our professional guides, each of whom has years of experience guiding tours through the Kruger. Our safari packages are designed in such a way that you are guaranteed to have a truly unforgettable time in our beautiful country. We know that for many of our guests, a visit to the park is a once in a lifetime adventure and so we try to ensure that our Kruger Park safaris are as entrancing, captivating and as memorable as possible. Our tailor-made safaris as well as our standard safari packages, offer something for everyone. Whether you are looking to spend a single day, 3 days, 4 days or even 5 days in the Kruger, we have the tour for you. We also have shared safaris and private Kruger Park safaris, as well as packages for guests wanting to see the Panorama Route via the Kruger National Park. Patrick was our young guide who was SO knowledgeable about the animals we saw, the flora equally, and a safe driver, who also had a sense of humour. He made the day for the whole group a most memorable, fun and interesting one. A visit to the park with us is a laidback experience and our itineraries, as well as all that is included in each tour, will ensure that you are well taken care of and in the best company. Our guided tours are well priced and well organised. 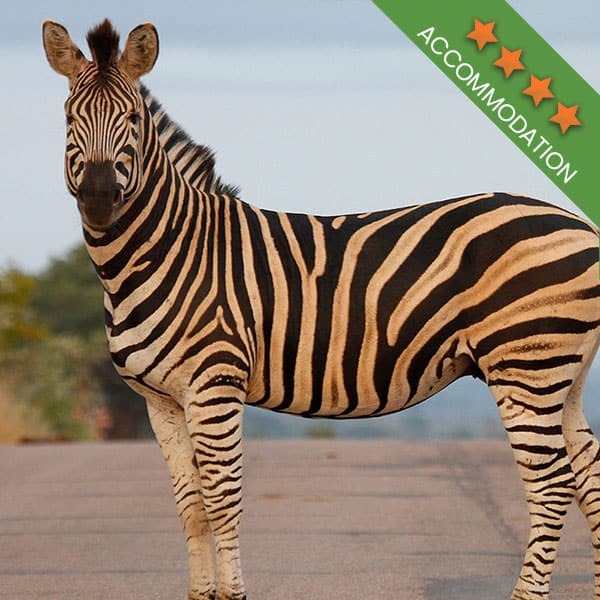 Accommodation is included with each overnight package, the style of which varies depending on the Kruger tour you select. 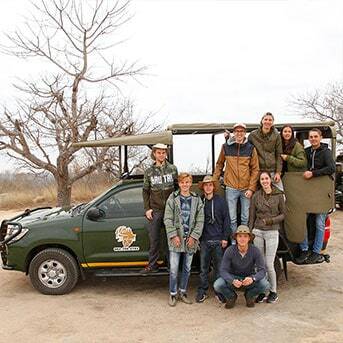 We specialise in small guided group Kruger Park safaris and with our daily departures from Johannesburg to Hazyview, you can arrive in the city in the morning and be enjoying the Kruger in the afternoon! Our Kruger safaris are ideal for both locals and international visitors. 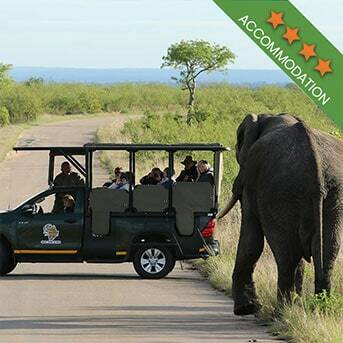 Each safari vehicle is open, giving you the perfect opportunity to easily spot animals through the wild vegetation. This great visibility makes each safari perfect for budding and experienced photographers looking to capture those one of a kind snaps. If you are in search of a more photographic focused safari, have a look at our custom photographic safaris. The Kruger National Park is without a doubt the best place in South Africa to spot the Big 5. The Kruger is home to the Lion, Leopard, Elephant, Rhino, and Cape Buffalo and a day trip to the park is enough to spot these animals and more. Keep in mind that when visiting the Kruger, you never know what is waiting around the next twist and turn in the road! 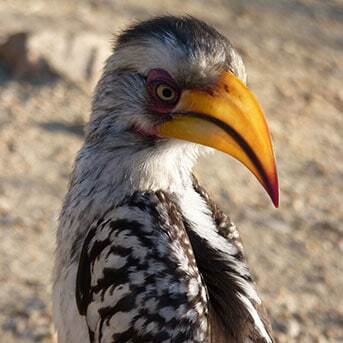 The Kruger boasts a massively diverse number of wildlife species as well as hundreds of birds and reptiles. Although we have a wide range of Kruger Park safaris and exciting game drives for our guests to choose from, we are also more than happy to customise a package to fulfil all of your wildest safari daydreams! We always go the extra mile for our guests as we know how truly amazing and memorable a real African safari should be. We are SATSA accredited, which is our guarantee to you that the safari you are paying for will live up to all of your expectations. You can look forward to a safe, well-priced, one of a kind safari. Each of our safaris will meet your expectations for that African experience you seek. You can view the pricing of our bestselling Kruger Park safaris on our website. Should you have any questions about our tours kindly get in touch with our helpful Hazyview based team. You can also check out TripAdvisor to see all of our latest reviews. We look forward to welcoming you to the African continent. You can make your safari booking via our website or by getting in touch with us via email. Let us tailor-make a package for you! The majestic Kruger National Park is one of South Africa’s best loved iconic landmarks. Each year the conservation reserve welcomes thousands of guests from all over the world. 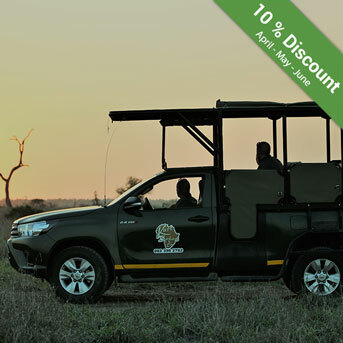 Embarking on one of the many Kruger Park trips available, or taking a self-drive through the park, is the way that most guests are introduced to the quiet solitude that you will only find when out in the wild. But it is not the quietness that brings guests to the park. It’s the animals. We have Paul Kruger, the onetime president of the now-defunct Transvaal Republic, who made it his mission to have an area of the Transvaal set aside for the conservation of animals. Without his efforts, the animals that we now see roaming the park would have long been erased from the land. Back in 1898, when the park was first founded, hunting was rife and trophies of big game, such as lions and elephants were much sought after by overseas visitors. 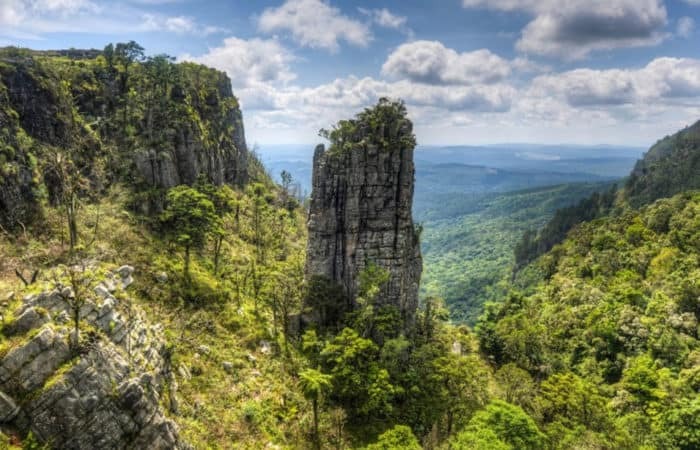 To prevent the local animal life from becoming completely eradicated, the park became a no hunting zone and to this day remains one of the oldest and biggest areas of conserved land in the world. Today, we reap the benefits of the wisdom and foresight of those who came before us. The Kruger Park safari is an experience to be remembered and it’s one that is not as costly as you might think. You see, the park has gained a reputation over the years. At first, no one entered as a tourist. But around 1927, the first paying visitors were allowed into the park. There were no places to spend the night back in this era, so guests needed to be out of the park before sundown. Over time, as transport was revolutionised and as the park developed, more tourists began to arrive and accommodation was developed for them to spend the night. Fees were never exorbitant and so the park became known as the People’s Park. A place where anyone could experience all that the conservation had to offer. Today, even a 7-day safari is quite affordable and there is always the option of doing a self-drive through the park. And booking a Kruger Park safari or a Kruger Day Tour has also never been so easy. A quick look online will present you with a huge number of options, most of which are from top-notch safari companies, such as ours. Why book a safari instead of doing a self-drive? Well, in reality, it requires less planning and will save you a buck or two (pun not intended). The Kruger National Park might have been proclaimed in 1898, but it was only in 1927 that it was named the Kruger National Park and opened to tourists. Those early days were interesting, to say the least, with tourists literally flying through the park on a train. Not a lot could be easily seen, and the route was one that could not be changed. But this was the safest way for the earliest visitors to see the park. These were the days before the car, so you can imagine that after the invention of the car, visiting the park became a reality for many guests. By 1928, the Kruger Park was being steadily run by a board of directors and it was decided that in order to make the park more accessible, overnight accommodation needed to be built. The parks first rondavels, a round hut style of accommodation that is as synonymous with the park as the Big 5, was built at Skukuza, Pretoriuskop and Satara. As more guests visited the park, more accommodation was added for their benefit while the former accommodation used for rangers was also converted into unique accommodation for guests. If you have done your research about South Africa, and the Kruger Park, in particular, you will know that the summers are exceptionally hot and humid. So you can sympathise with the parks earliest overnight guests and their struggle to stay cool. In fact, staying over in the park, in one of the rondavels, was not a popular choice. Sure it was a novelty, but the heat was as unbearable as the mosquitoes, which could not be kept out. These days, rondavels have fans and some even have air-conditioning. And in those early days, the accommodation was not completely wild. Guests eventually had access to ablution blocks where they could have a bath or shower, and as the park grew and as construction was well underway, guests also had more protection from the wildlife. While animals are what draws people to the park, the flora of the area is just as captivating as the fauna. The flora is really diverse and the park has 4 distinct areas, each distinguishable based on the flora of the area. In the west and more or less centre of the park, just south of the Olifants River, lies the red bush-willow trees as well as acacia (or thorn) trees. The area also boasts plenty of marula trees. The acacia trees line the rivers and streams. Along with the Nwatimhiri Bush, the areas along the Sabie River are very dense. In the area south of the Olifants River, and to the east of the park, lies knob thorn and marula veld. This region provides plenty of grazing ground. Red grass and buffalo grass, as well as the knob thorn and marula trees, make this an important region of the park. North of the Olifants River and to the west of the park, the red bush-willow tree and mopane tree mostly make up the vegetation. Almost the entire northeastern area of the park is covered with mopane trees. Of course, these areas have more plants and trees than mentioned above. It is the abundance of these trees and bushes that contribute to the naming of the areas. And each region is exceptionally important for the survival of fauna. The park is famously home to the Big 5, which consist of lions, leopards, elephants, rhinos and buffalos. These iconic animals are part of the allure of visiting the Kruger, but they are not the only animals to have a home here. In fact, there are more species in the Kruger than in any other park on the African continent. Overall, there are 147 species of animals in the park. Along with numerous predators and large species such as elephant, the park also has a host of antelope such as kudu, impala, nyala, and eland. The Kruger National Park is also home to various endangered as well as rare species, such as the wild dog. As the park has many endangered species, efforts to prevent poaching have been underway for many years. Anti-poaching units are equipped with the latest in prevention equipment such as night vision technology and advanced telescopes. Game rangers, policemen and the army have been actively involved in the effort to stop poaching and while instances have been reduced, animals, and rhino, in particular, are under constant threat. While elephants are occasionally hunted, it is the rhino that makes the headlines. Poachers sneak into the Kruger when the moon is full, and regardless of whether the rhino is black or white, it is killed for the horn. The horn is worth around $ 66 000 per kilogram and although there is a ban on the trade of the horn in most countries, the ban has little effect. In the beginning, the rules for guests visiting the park were very relaxed and not widely enforced. But one rule has been strictly in place from the very start, and that is guns are forbidden. Since the area was proclaimed a reserve, animals within have been exempt from all legal forms of hunting. Neighbouring game parks do all hunting, and of course, poaching is a never-ending fight. But no guests have ever been allowed to bring in weapons. As time has gone by, more rules have crept onto the sheet given to guests upon entry. All of the rules are simple to understand and easy to follow. Then as now, guests are only allowed to drive in the park from sunrise to sunset. Before the evening comes, guests need to be out of the park or they need to be at the rest camp they are booked into. An exception is made when guests are embarking on a Kruger Park night drive. Guests are not allowed to self-drive after dark, however, so you’ll need to make arrangements and bookings if it is a night drive you are after. Another important rule and one that applies greatly if you are going to be doing a self-drive through the Kruger is the speed limit. More and more guests are rushing through the park, instantly endangering the lives of the wild animals. There is a strict speed limit in the park; 50 km on tar roads and 40 km on dirt roads. It goes without saying, but indeed sometimes need to be said, that guests are not allowed to leave the safety of their vehicles to get that perfect shot. There are also those rare cases of guests wanting to actually touch the animals, which is also forbidden. One of the major park rules is that people must remain in their vehicles. Feeding or disturbing the animals is also very much against the rules. Littering goes in this category and it is also forbidden. Because all of the animals are wild, feeding them can do more harm than good. Animals also often mistake litter for feed and end up eating the litter and becoming ill or dying. If you will be doing more than a Kruger Park day tour, then there are other rules that you will have to adhere to. Being booked into your camp before 14:00 pm and leaving by 10:00 am the following day is a must. Another thing to take into consideration is the noise rule. Camps are generally quiet places. And what keeps them quiet is the rule that states that guests must limit noise between the hours of 21:30 pm and 6:30 am. Cell phones are permitted in the camps, but minimal use is encouraged. Only safari vehicles and private vehicles are granted access to the parks. Motorbikes are not appropriate and roller-skates and skateboards are not permitted. All of the rules and regulations are enforced by legislation (the National Environmental Management: Protected Areas Act of 2003). This means you can be charged or fined for breaking the rules. The rules and regulations are there for the safety of the guests while they can also make the trip more relaxed and enjoyable. Reputable safari companies always adhere to the rules of the park. There is a laundry list of reasons why you should visit the Kruger National Park. And one of those reasons is the history and the hospitality you will find in every camp. If anything, the park is one really laid back place to be. Even the busy main camps seem to be in their own bubble, away from the modern world. Before any discussion on the historical significance of the park, the animals or the safaris that we currently have available within the park, we’re going to take a look at each of the 12 main camps. Berg-n-Dal is one of the few camps in the park set in a mountainous area. The natural environment and habitat have been well preserved within the camp. The camp has dry riverbeds on the southern and northern borders, along with very large trees. Some of the animals to see near to the camp include the wild dog, the klipspringer, and leopard. This is also one of the newest camps in the park. If you are staying over in the park, then you’ll be happy to know that there are a number of facilities available along with great accommodation. One of the smaller camps in the Kruger National Park, Crocodile Bridge gets its name from the Crocodile River, which flows close to the camp. Game viewing is excellent when you drive the Southern Circle which is near to the camp. In this area, lions are often spotted. Other animals that are known to prowl this area include kudu, giraffe, spotted hyena and cheetah. This camp has been time and again nominated as the best camp in the park. Situated at the halfway point of the park, a perfect fit between north and south, is Letaba. The name means River of Sand and it is one of the best-known elephant spotting places. While a lot of areas in this sector of the park are already turning into grassland, Letaba is green and lush. And the night erupts with life. When you stay at Letaba, bats, owls, nightjars, frogs and cicadas keep the night alive. But there is more than the nightlife to keep you entertained. 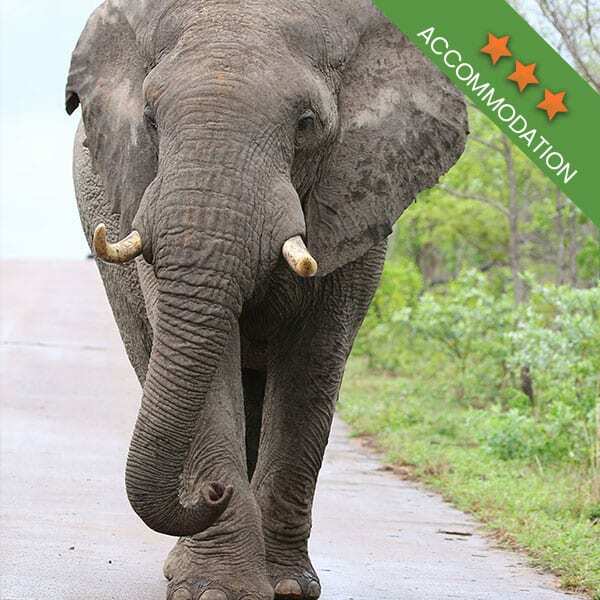 The areas surrounding Letaba are known for sightings of elephants and bushbuck. Lower Sabie is situated along the banks of the Sabie River. The camp’s location gives it a laid back, calm atmosphere that guests can really unwind in. The camp is well known for having numerous, massive trees which makes it the ideal place to see leopards. Other animals you can see in the area includes hippo and lion, along with all of the usual antelope. A large number of other animals also visit the river to have a drink of water. At Lower Sabie, you will also have access to fantastic accommodation. This is one of the camps in the park that is home to plenty of Mopani trees. But the most significant feature of the camp is the massive baobab tree that sits in the centre of the camp. Most of the camp’s vegetation is left to grow naturally. Some of the animals that you can spot in the area include hippo, waterbuck and tsessebe. The camp is on the border of the Pioneer Dam, so seeing animals late in the afternoon and early morning coming for a drink of water is the norm. Olifants is well-known for the amazing views that it has on offer. The camp is situated high up on a hill, above the Olifants River. The camp is surrounded by viewing platforms, which offer a great way to spot the wildlife roaming near the water below. Some of the animals you can see here include crocodile, lion, elephant and hippo. Along with great accommodation, there is also a great picnic spot for day visitors. With two satellite camps, Maroela and Tamboti, Orpen is well situated. The camp gets its name from the Eileen Orpen who was owner of the land which was donated to the park and became the place where Orpen now is. This grassy area is a great place to spot grazing animals, while the wide open surrounding plans are home to many prides of lion. By night, the air is filled with the sounds of roaring lions, something that you will never forget. Orpen is well known for having a diverse array of wildlife, and some of the animals you will come across include rhino, buffalo, elephant, leopard and lion which make up the Big 5. Other animals include wildebeest and jackal. Pretoriuskop is the camp nestled between millions of years old outcrops of granite rocks. There are a number of interesting granite boulders in this south-western based camp. But the real attraction here is, of course, the wildlife. Pretoriuskop is one of the parks oldest camps and evidence of its age can be seen in the layout and style of the camp. The animals that are often spotted here include the Sable antelope, Lichtenstein’s Hartebeest, wild dog and kudu. Many people like to stay at this camp because it is quite close to one of the entry points to the park. Only those willing to brave the heat are brave enough to stay at Punda Maria during the intense summer months. And even in the midst of winter, this camp can get hot. Punda Maria is found in the north-most part of the park and because of the sandveld habitat, it is home to a number of interesting plants. In fact, Punda Maria is often called the botanical gardens of the park. When travelling in this region you might come across nyala, wild dog and plenty of zebra herds. The drive is a long one when you are heading north. Often only those who will be spending more than a few days in the park will attempt a stay here. Some of the first rondavels were built at Satara after more and more guests became interested in spending a night in the park. Today, Satara is a very busy camp and one known for its excellent game viewing opportunities. Satara is in a wooded area and the camp itself is considered to be rustic. If you are an avid bird watcher, this is definitely the place to go. And along with the birds you can see here, there is also a variety of animals such as lion, giraffe, wildebeest and the honey badger. Another camp located in the northern region of the park, Shingwedzi is known for its wildlife sightings, such as nyala, waterbuck and elephant. To get to the camp, you will need to take the scenic route along the Shingwedzi River. This camp is also one that is considered to still be rustic, with a lot of the conveniences of modern living not found here, a factor that makes staying here a real break away. If it is tranquillity that you are seeking, you’ll find it here. Along with tranquillity, you will also find some interesting birds such as the Giant Eagle Owl and the Green Pigeon. Leaving the best for last, we have Skukuza. This camp is the capital of the park and when you are on a Kruger Park safari, this is the camp where you are sure to be stopping off for lunch. The camp is situated along the southern banks of the Sabie River and there are plenty of lookout points here. Guests stopping off for lunch can do so outside in a seating area as well as on benches that look out on the river. The camp is nice and shady, the perfect place to catch your breath, cool off and eat a snack. A few of the animals often spotted in the area include spotted hyena, bush baby and warthog. In addition to these main camps, there are also a number of satellite camps, bushveld camps, overnight hides, bush lodges, luxury lodges and campsites. The biggest decision you need to make when you are planning a trip to the Kruger National Park is what kind of safari you are looking for. A quick online search brings up thousands of safari packages offered by hundreds of different safari companies, but the only way to narrow down the search is to know more or less what you want to get out of your Kruger National Park safari. It doesn’t help to book a Kruger Park day safari when what you really want is 10 days in the park. Generally, the more time you spend in the park, the more animals you will see. It’s not all about the Big 5 either. The Kruger is home to hundreds of different animal species. And different regions of the park have the habitats of the various animals. Kurt Safari offers guests a bigger variety of safari packages, including day tours of the Kruger National Park as well as week tours and night drives. 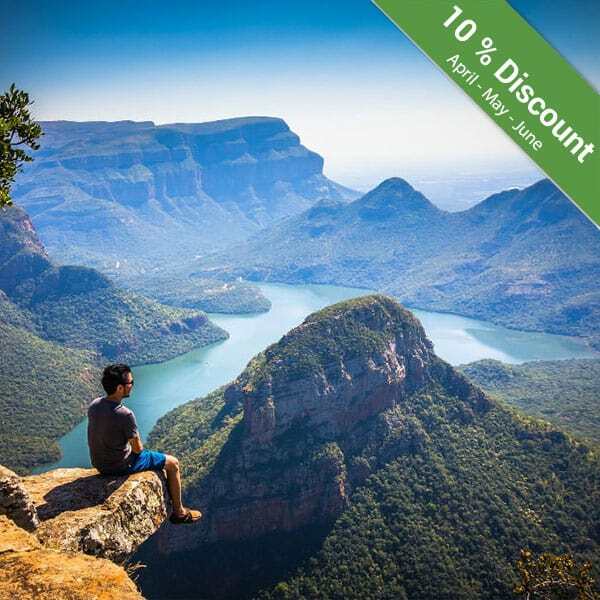 To save time, and particularly if you are on a budget, opting for either a Kruger Park day tour or half day tour is one of the easier ways to get a taste of the Kruger. Generally, we encourage visitors to spend more than a day in the park, in order to see everything. But when you are limited on either time or money, choosing a day or half a day in the park, can be a great introduction and something to whet your appetite. We have the Kruger Park Full Day Safaris, the Afternoon Safaris, the Morning Safaris and Kruger Park Night Drives. We keep our times to the early morning and later afternoon, when the heat of the day has dissipated, as these remain the best times of the day to see animals. Each of these Kruger Park Safaris is affordable, and each will take you to where animal sightings are likely. Night drives in the Kruger are particularly an exciting adventure. With the night drive, in the company of a Kruger Park ranger, you will have the unique opportunity to see the animals that only really make an appearance at night. Seeing the park at night is one experience that you will certainly not forget anytime soon. Full day private Kruger Park safaris can offer you the best way to see the park, and you have the added benefit of enjoying the sights on your own or in the company of friends and family. We offer private morning and afternoon Kruger Park safaris as well as full day safaris. Visiting the park during the morning or afternoon is often considered to be the best times, as the heat is not intense and the animals are likely to be grazing. During the peak heat times of the day, animals tend to seek out shade, leaving guests with a disappointing drive. The other option is to have a full day Kruger National Park safari. Again, this private Kruger experience will give you the right amount of time during which to spot animals. And with more time spent in the park, the more animals you are likely to see. A full day safari is also less likely to leave you feeling rushed. Along with taking you to the best places in the park, there is also the added opportunity that comes with being in the company of the experienced tour guide, who is sure to share a few stories of their time in the park. We try to accommodate all kinds of guests, including those who are looking to tour the park but who have a tight budget. For these guests, we have created the 3, 4 and 5 day Kruger National Park safaris on a budget. With up to 5 days spent in the reserve, returning each day to comfortable accommodation, you will have more than enough time to spend in the park. This tour includes 3 days and 2 nights. The days are spent on safari, while in the evening you will return to either the Gecko Lodge or the Numbi Hotel, both of which offer comfortable accommodation. Breakfast and dinner are included as well as your transfers. 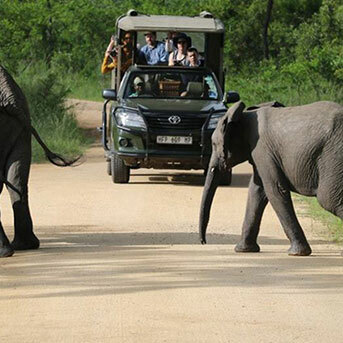 Along with days spent on safari, this tour package also includes a Kruger Park night drive. With the 3 day Kruger Park safari, you will certainly have plenty to see, especially as we travel to those areas best known for animal sightings. Much like the 3-day package, your evenings will be spent at either Gecko Lodge or Numbi Hotel. This package includes 4 days and 3 nights in the wild, with your days being spent on safari. The ideal tour package to give you more than enough downtime, you are sure to see numerous animals while you are on this safari. 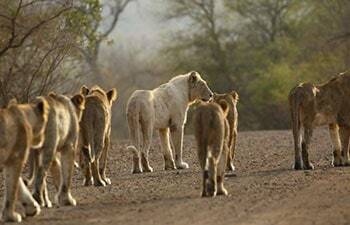 Finally, the last budget safari that we have available is the 5 day Kruger Park safari. While this package is similar to the 3 and 4-day tours, you will have 5 days in the park. And with this extra time, seeing the Big 5 is very much a possibility. You will be accommodated in either the Gecko Lodge or the Numbi Hotel. 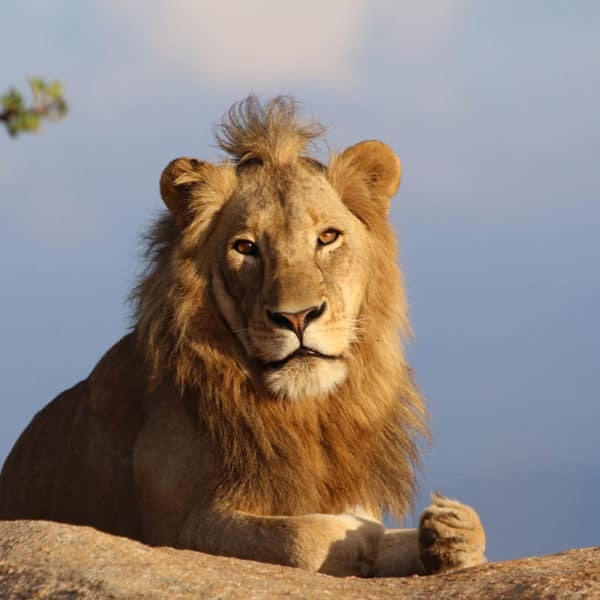 If you are looking to have a truly relaxing safari experience, and you are not so tightly constrained by your budget, the 3, 4 or 5 day classic Kruger Park safaris are a must. Stylish accommodation in a 4 star hotel and just the right amount of time spent in the park, when you sign up for one of our classic safaris, you will be in for a treat. Heading out early in the morning and late in the afternoon for a real Kruger experience, the 3 day classic safari is as comfortable as it is exciting. Your guide will be taking you to some of the best areas in the park, those well known for animal sightings. We offer guests transfers from Johannesburg and for the next 3 days you can sit back while we drive you through the Southern regions of the park. Breakfast and dinner are included. With 4 days and 3 nights included as a part of this tour package, you will have plenty of time to relax and enjoy your time in the Kruger. The days start early with an exciting Kruger Park tour while the afternoons are for relaxing until guests are again taken into the wild. This tour package also includes a night drive, something that everyone should experience at least once in their lives. The more time you spend in the park, the more opportunity you will have to see the Big 5. The 5 day classic Kruger National Park safari is a must for everyone who wants to take their time while getting the most out of the experience. You will be accommodated in 4 star lodgings and breakfast and dinners are included. 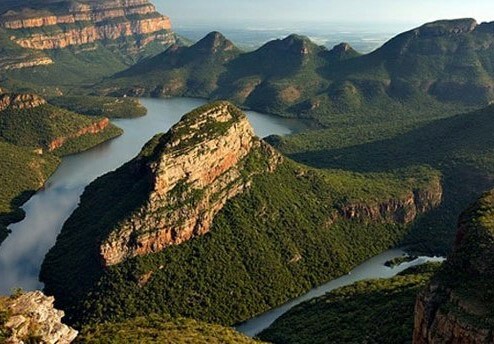 Much of this tour package is similar to the 3 and 4 day classic safaris, although you will have extra time in the park. Not at all like the classic safari, and quite different to the budget safari, the various Kruger National Park Backpackers safaris are designed for those who enjoy an on the move style of holiday. Regardless of the number of days you want to spend in the park, your accommodation will remain the same. Guests opting for the Kruger National Park Backpackers safari will be lodged at the Bushpackers Campsite and Accommodation. This accommodation includes meals and will give you that touch of rustic living that you might be after when visiting the Kruger. 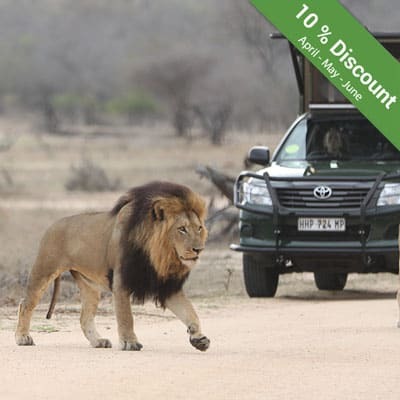 With 3 days spent enjoying a safari, and accommodation provided by the Bushpackers Campsite and Accommodation, guests embarking on this safari package are in for a real treat! Days will start off and end with a Kruger Park safari. We take guests to the more exciting areas of the park, where animal sightings are frequent. Regardless of the package, you select, always keep in mind that the more time you spend in the park, the more chances you have of seeing the animals you really want to see. Some guests have truly seen all they wanted to see in the 4 days that they have been on safari. We take guests to the Southern areas, as these are the most populated regions of the park. You cannot go wrong with any 5 day safari. This is more than a backpacker’s safari, it is also ideal for students looking for an adventure! Giving you more than enough time to see many of the park’s inhabitants, anyone embarking on a 5-day safari is in for a once in a lifetime trip. And when opting for the backpacker’s safari, you won’t be breaking the bank. This safari also includes a tour of the Panorama Route. Experiencing the Kruger National Park in the comfort of an open safari vehicle remains one of the most popular ways to see the park. Guests are up close to nature, and even though you are in an open safari vehicle, you will still be kept safe. With fresh air blowing in your hair, and the unmistakable sounds of Africa filling up the vehicle, seeing the Kruger in an open vehicle will leave you with memories to last a lifetime. And they are also the perfect way to get some incredible photographs. At Kurt Safari, we offer some of the best priced Kruger National Park safaris. 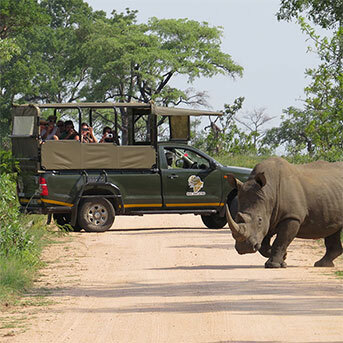 With private Kruger National Park tours and Kruger National Park day tours, guests have a number of different options to choose from when they are planning a visit to the park.